Who are these mysterious “watchers” who are so concerned that we know that “the powers that be are ordained of God” (Romans 13:1), sometimes even including the “basest of men?” They are mentioned in the Bible only here in the fourth chapter of Daniel (see also vv. 13, 23), all three times evidently synonymous with “the holy ones,” beings who come down from heaven. Such phrases could apply only to angels, created to serve the Lord and the “heirs of salvation” (Psalm 103:20; Hebrews 1:14). The word is used here in reference to Nebuchadnezzar’s vision and period of insanity. Although it is used nowhere else in the Bible, it occurs frequently in such apocryphal books as “Jubilees” and “Enoch,” where it refers both to God’s holy angels and to the fallen angels, who have direct interest in people on Earth as they “watch” them—even on occasion directly controlling events that affect them. In any case, the Bible does indicate that “the angels desire to look into” the outworking of the gospel in the hearts of men (1 Peter 1:12), and that “unto the principalities and powers in heavenly places might be known by the church the manifold wisdom of God” (Ephesians 3:10). Children, as well as adult believers, also seem to have guardian angels who “watch” them (Matthew 18:10; Acts 12:9-15). 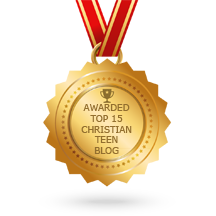 This entry was posted in A CLICK A BLESSING TODAY, CHRISTIAN NUGGETS, CHRISTIAN TAGALOG BLOGS, CHRISTIAN TEENS BLOGS and tagged angels, watchers. Bookmark the permalink.